Basset Hounds were initially bred in France as hunting dogs. They were popular during Napoléon Bonaparte’s time, and Queen Alexandria kept this breed in the royal kennels. 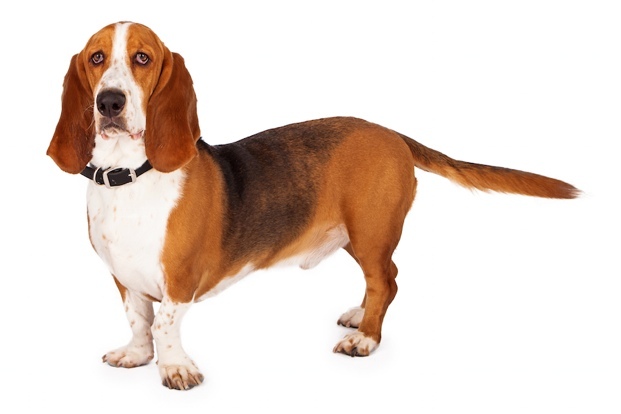 The Basset Hound first entered the United States as a gift to George Washington for use during his hunting excursions. The breed is known for it’s short legs and long ears. It also has a heavy body and, like other hounds, tends to bark frequently. Basset Hounds are still willing hunters and trackers today. When translated from French to English, the name Petit Basset Griffon Vendeen reveals much about the breed, which is small, low to the ground, rough or wire coated and originated in the French area of Vendeen. The breed was developed to hunt small game, like rabbit or hare, over the difficult terrain found in the region. 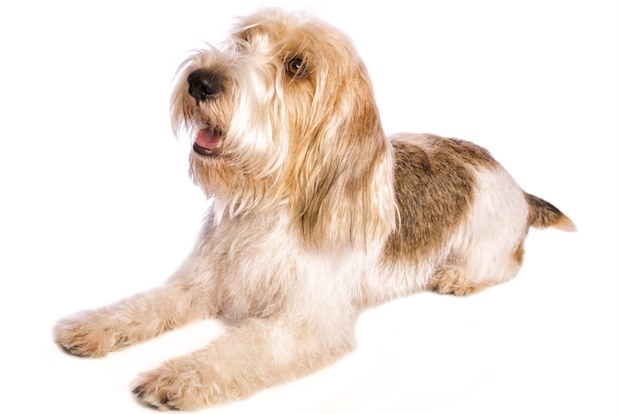 With a long, rough coat and a saber-shaped tail, the Petit Basset Griffon Vendeen has a tendency to bark and dig, but is friendly and generally playful with children, other dogs and most people. An old, distinct French herding dog, the earliest record of the Beauceron dates back to the 1500s. Known for its tireless work ethic, the Beauceron has been guarding flocks and herds for centuries and enjoys both work and play in addition to acting as a guard dog in the home. 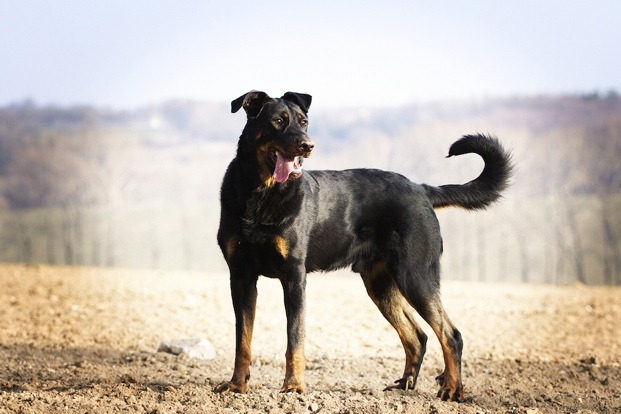 With a short coat and skinny, hooked tail, the Beauceron can be seen in black and tan. A breed that has been beloved by the French since the Middle Ages, the Briard was depicted in 8th century tapestries and mentioned in records of the 12th century. 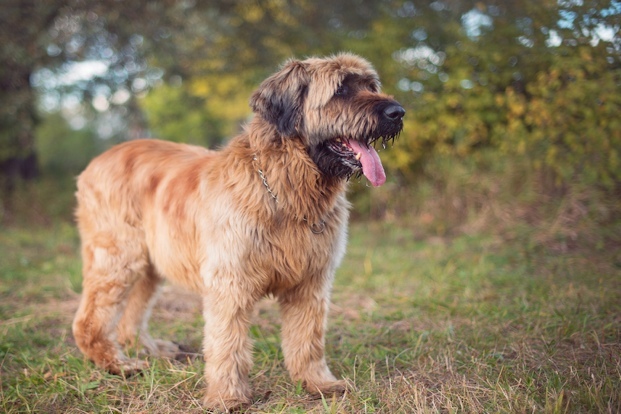 In earlier times, the Briard was used to defend herds of livestock against wolves and poachers. After the French Revolution, the breed’s work gradually transformed into herding flocks and guarding property. 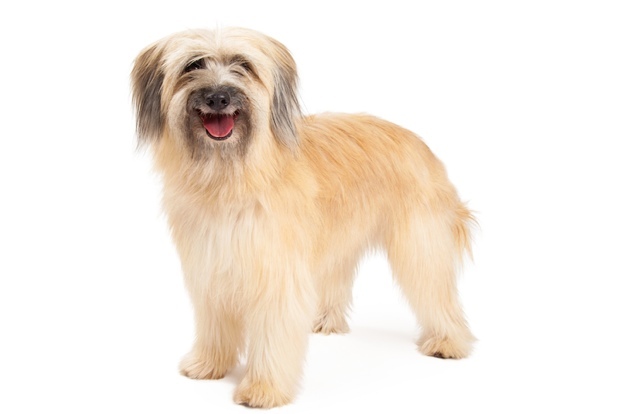 The Pyrenean Shepherd has herded sheep in the Pyrenees Mountains of Southern France for centuries. A breed that first distinguished itself outside of its native mountains with its service to French troops during the first world war, hundreds of Pyrenean Shepherds worked as couriers, search and rescue dogs and guard dogs. Lively, cheerful and exceptionally athletic, the breed can be seen in two coat types, rough and smooth-faced. 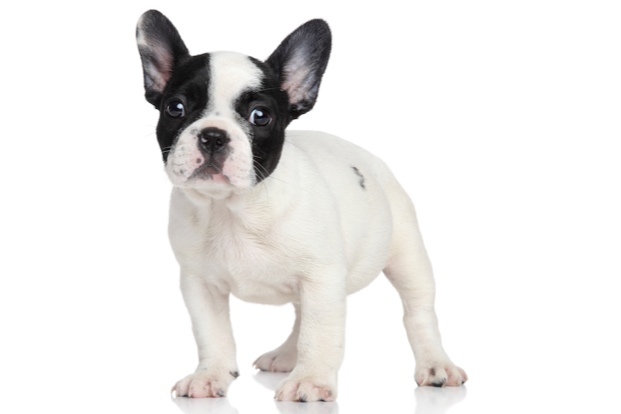 Despite its name, the French Bulldog was actually developed in England and later traveled to France. Selectively bred down from the early bulldog to be a “toy” bulldog used as a lap pet, lacemakers displaced during the Industrial Revolution brought their dogs with them to France, where they became popular. The breed became known as the French Bulldog in the late 1800’s. French Bulldogs are known for being sweet and affectionate. Though the Great Pyrenees is thought to have originated in Central Asia or Siberia, it was truly developed as a breed following its migration into Europe, where it was named from the mountain range in southwestern Europe. Used to guard flocks on steep slopes with shepherds, the Great Pyrenees was also cherished by nobility and was appointed French court dog in the 17th century. 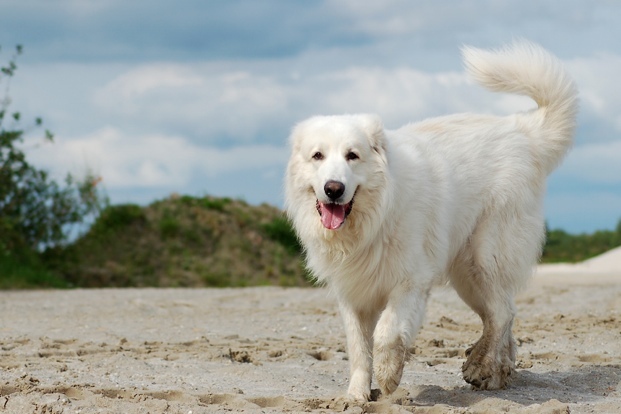 A large dog with a heavy build, the Great Pyrenees has a long, thick outer coat and a dense undercoat. Named for the French province where it originated, the Brittany is another breed with a slightly murky history. Records of the breed’s development are largely lost but it has surged in popularity in the past 50 years for its talents as both a hunting and show dog. 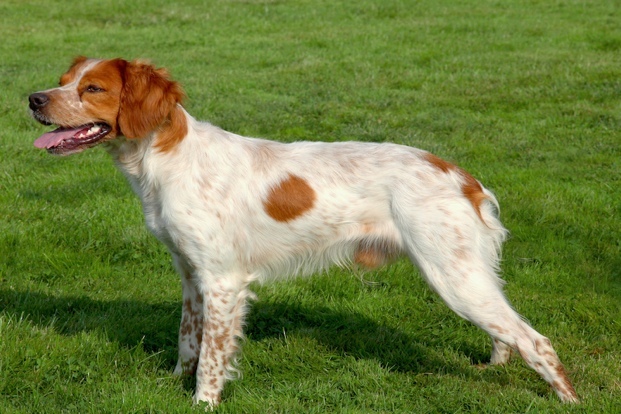 Well suited for sport and companionship, the Brittany is medium-sized with a dense coat that can be both flat and wavy and comes in orange and white or liver and white. Though there are some doubts of the origin of the Clumber Spaniel, most believe that it originated in 18th-century France with ancestors including the Basset Hound and Alpine Spaniel. Prized for its ability to hunt in heavy cover, the Clumber may not be fastest of sporting dogs but can work all day long with its signature slow, rolling gait. 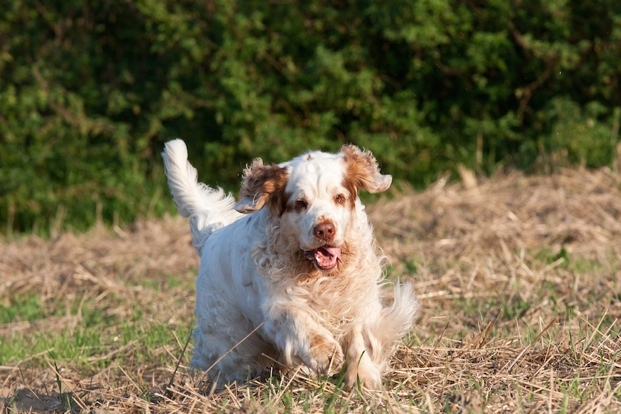 With a white coat that can have lemon or orange-colored markings, the Clumber Spaniel is known for being loving towards its family. Lively, friendly and affectionate, the breed began with large, drooping ears but over time an erect-eared type was developed. The fringe on the dog’s ears is said to resemble the wings of a butterfly, with the name Papillon meaning “butterfly” in French. 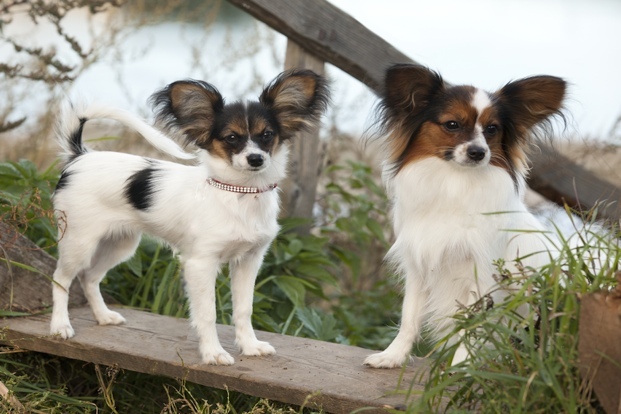 A true lap dog, the Papillon is elegant, fine-boned and loves to stay close to its people. Because its hair is full around the ears, they require regular cleaning to prevent infection.